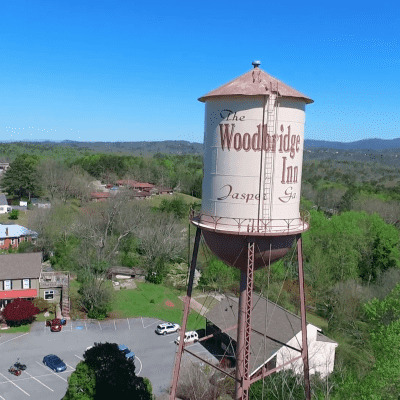 About an hour south of the Chattahoochee National Forest, the City of Jasper is nestled in the wilderness between the Blue Ridge Mountains and Alpharetta. With approximately 3,600 residents, it is located in Pickens County, not to be confused with Jasper County Georgia. Nicknamed “The First Mountain City,” Jasper is located 50 miles north of Atlanta. Named after William Jasper, a hero of the American Revolutionary War, Jasper was founded in 1853. In 1857, it was incorporated as a town and became a city by 1957. The Tate House is a historic property and was built by Colonel Samuel Tate in 1923. The Tate family began the mining of marble on the land the house stands on. Legends of bright pink marble, referred to as “Etowah” marble, came true when Colonel Sam saw it coming from the quarry behind the house. The house is listed as the Pink Palace and is used now as a wedding venue where lifelong memories can be made.